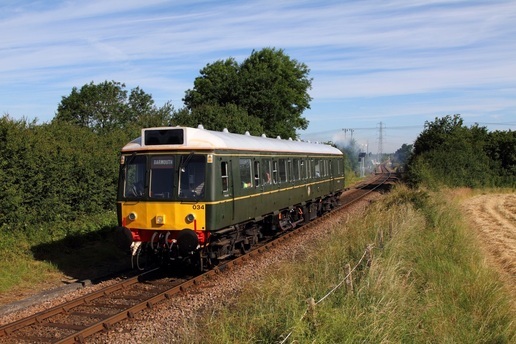 Br Green 121034 looking stunning in Br Green works the 2P23 08:49 Aylesbury to Princes Risborough at North Lee, Aylesbury on the way towards Little Kimble on the 4th July 2016. 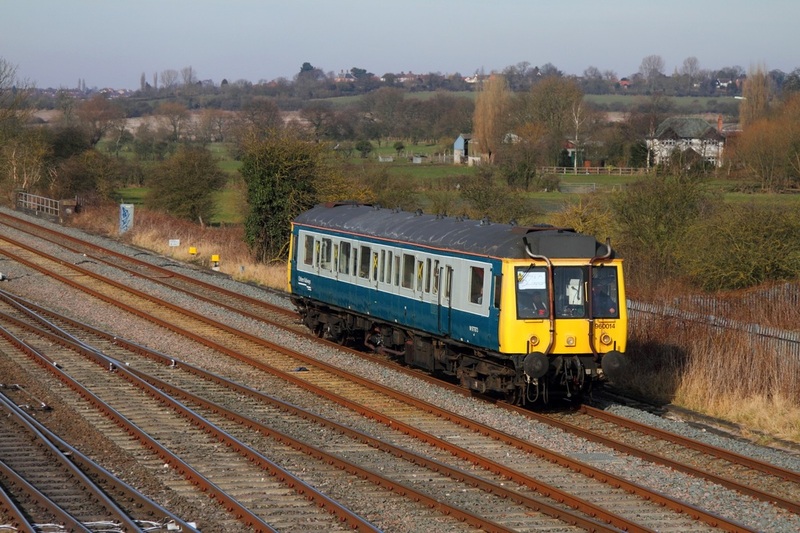 Railtrack liveried 960011 rounds the curve at North Staffs junction, Stenson on the 4th September 2007 with a Crewe to Derby inspection service. 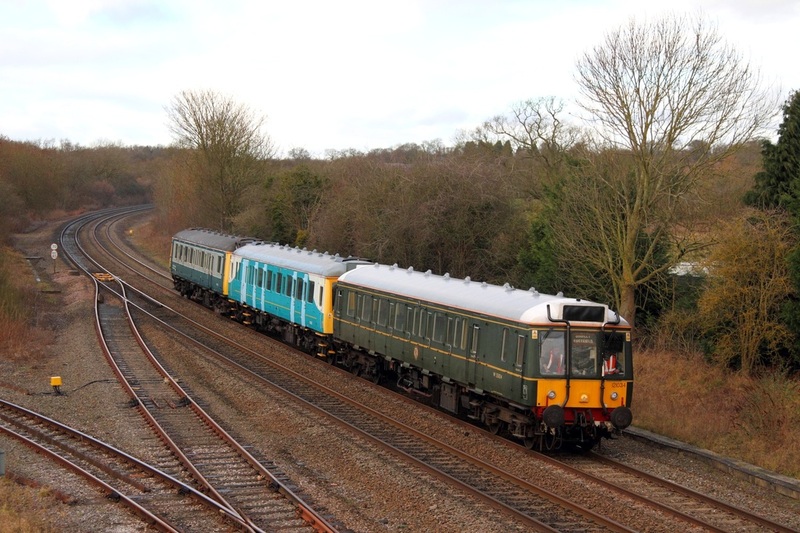 Chiltern Bubble cars, BR Green 121034 (which has been used for route-learning duties around Birmingham) leads Arriva Trains Wales liveried 121032 (likely to be used for spares) and Br Blue/Grey 960014 (which had previously failed on route learning duties around Birmingham) at Hatton on the 4th February 2014 working as the 5Z00 Tyseley to Aylesbury. 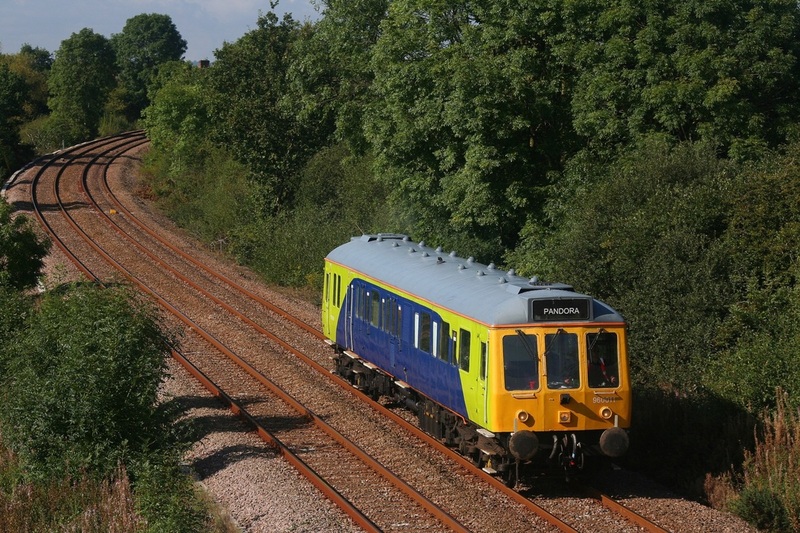 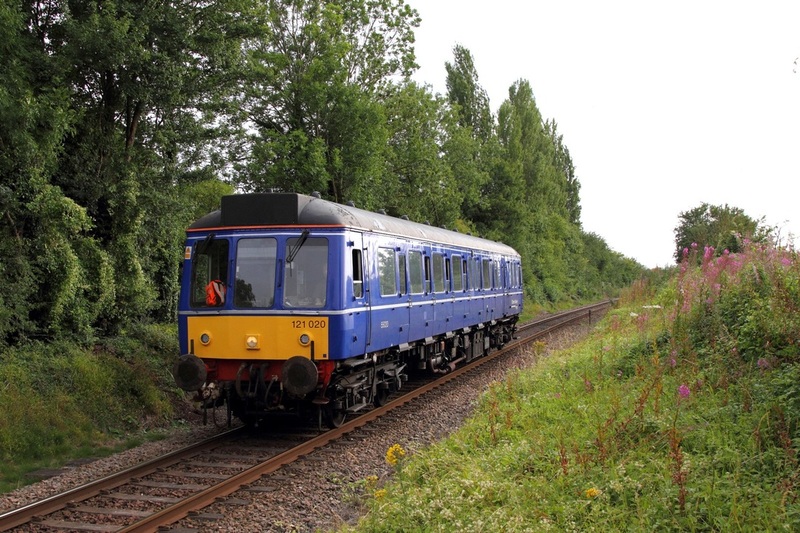 Chiltern railways bubble car 121020 works the 2A57 1800 Princes Risborough to Aylesbury at Little Kimble on the 4th August 2015. 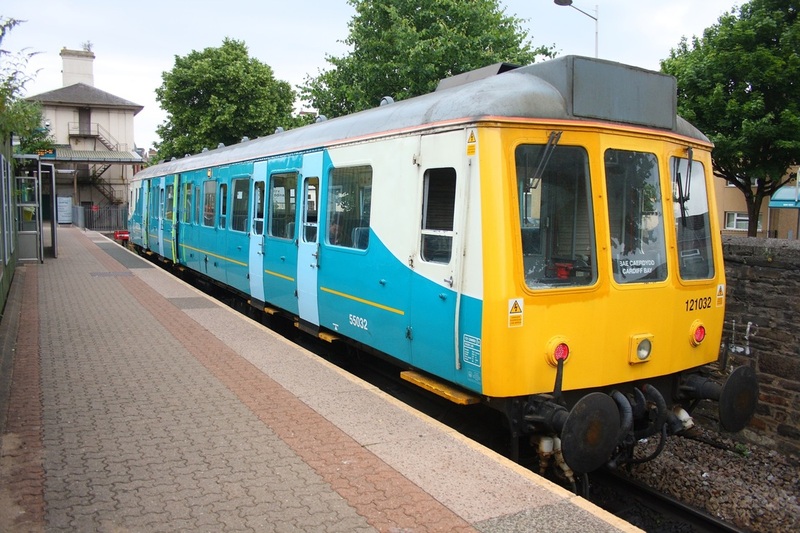 Arriva Trains Wales 121032 is captured at Cardiff Bay station on the 1st July 2010 having worked a local service from Cardiff Queen Street.